PLATTER OF BEETS AND POTATOES WITH SHREDDED ZUCCHINI, TOMATOES, CUCUMBERS, AVOCADO, YELLOW PEPPER AND RADISHES. 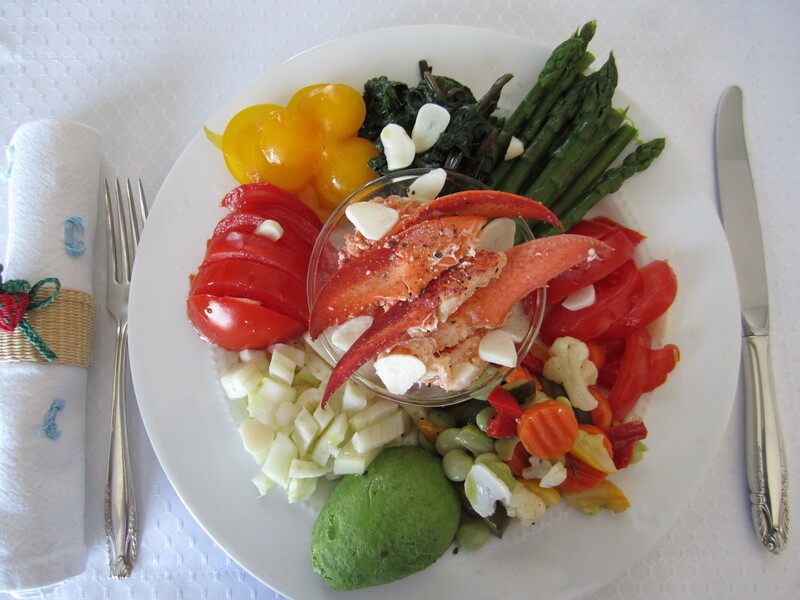 As I had leftover lobster from last night’s dinner, I decided to incorporate it into my daily vegetable platter. Due to the strong flavor of the lobster, I placed it in a little bowl so as not to have my vegetables permeated with the seafood flavor. 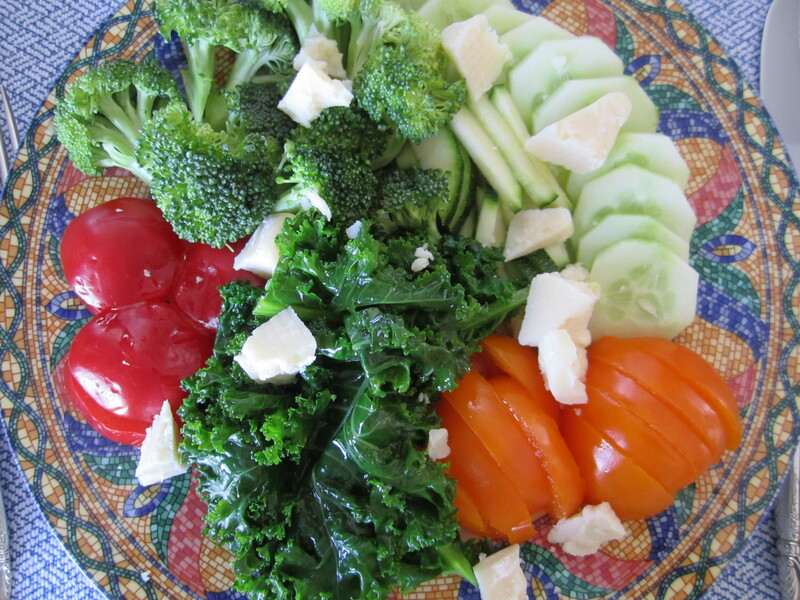 I prepared my plate with tomatoes, fennel, yellow pepper, asparagus, avocado, steamed beet-greens and sliced marinated garlic. I also added some leftover Italian-mix frozen vegetables from last night’s dinner. The olive oil and apple cider vinegar was added to the lobster as well. I noticed that the marinated garlic gave the dish an interesting kick.